The base price will be $US45,000; it will cost about $US35,000 in California after federal and state tax rebates. The company has long promised the Model 3 would be its vehicle for the masses, but it originally focused on building premium versions of the car while it struggled to ramp up factory production. Tesla is finally offering a less expensive version of its Model 3 electric car. The company has relased and is taking orders for a “lower cost, mid-range” version of its mass-production vehicle, Tesla CEO Elon Musk announced Thursday on Twitter. The base price will be $US45,000. But in California, it will cost $US35,000 after federal and state tax rebates, Musk said. Deliveries of the new vehicle could begin in as little as six weeks. The new midrange version of the Model 3 has a single motor and rear-wheel drive, and a battery pack that will go around 260 miles on a charge. The performance and long-range versions each have all-wheel-drive and dual motors and battery packs that will go some 310 miles on a full charge. Musk said Tesla has set up a new web page to take orders for the lower priced Model 3. 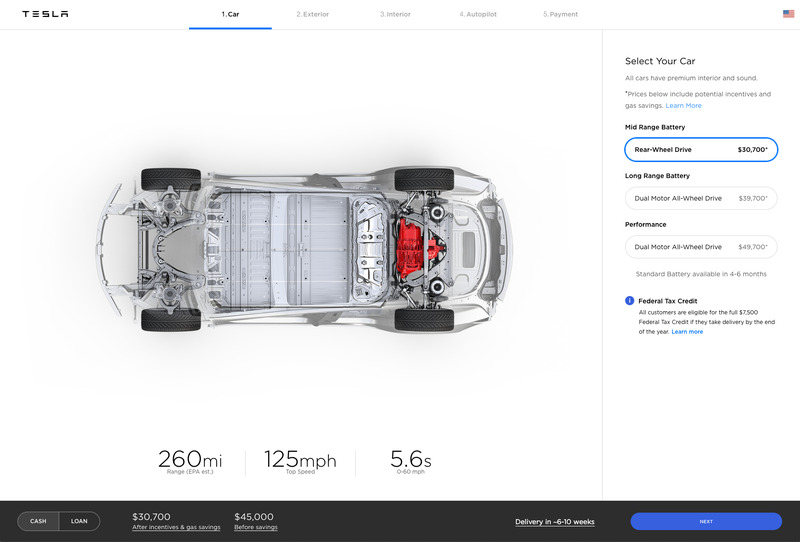 On that page, customers can choose one of three versions of the Model 3 – the top-of-the-line performance version, the long-range battery one, and the new midrange battery variant. TeslaTesla’s new Model 3 order page. To date, the company had only been offering more expensive versions of the car. 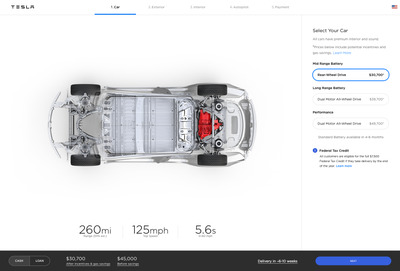 The Model 3 Performance, for example, has a base price of $US64,000 before any options are added – and that’s before the tax incentives, but it also doesn’t include features like the company’s “Autopilot” driver-assist system, which many customers choose to add on. 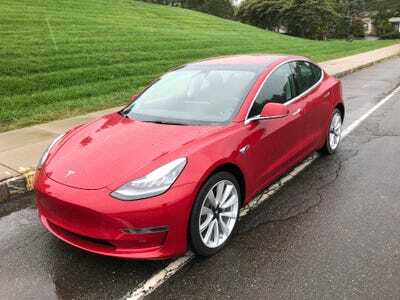 Tesla originally touted the Model 3 as the car it would mass-produce and price for mainstream consumers after first producing luxury vehicles in the Model S and Model X. That promise helped it lure in more than 400,000 pre-orders for the vehicle. But Tesla has struggled to ramp up production on the Model 3 and initially focused on making the higher-end versions. Even the new version, though, doesn’t fulfil the company’s promises. Musk has said that the company plans to offer a version of the car that will have a base price of just $US35,000 before any tax incentives. Although he’s promised that Model 3 will be out by the end of this year, some car industry experts are dubious he’ll deliver. A Tesla representative on Thursday confirmed the doubters’ suspicions. The company doesn’t expect to start delivering that entry-level version of the Model 3 until at least four months from now. Hitting that $US35,000 price target is important, because the federal tax incentives – worth up to $US7,500 per car – are due to start dwindling in January. When they do, the amount that customers will effectively pay for a Model 3 will much be closer to the list price of the vehicle. Correction: A previous version of this story erroneously reported that Tesla expects to start shipping the mid-range version of the Model 3 in as few as four months. In fact, it expects to start shipping the entry-level, short-range version of the Model 3 in that time period. The mid-range version is expected to begin shipping in as few as six weeks.